So you've already run at least one 10K (6.2 miles) road race and now you're ready for your next goal: improving your time. To achieve a personal record (PR) in the 10K, you'll definitely need to add speed training to your training regimen, if you haven't already. Here is an eight-week training schedule to help you run your fastest 10K (see chart below). If this schedule seems too tough for you, try the advanced beginner 10K schedule. If this training schedule seems too easy, try the advanced 10K schedules. Cross-training (CT): Cross-training activities allow you to give your joints and running muscles a break, while still working on your cardio. When the schedule calls for CT, do a cross-training activity (e.g., biking, swimming, elliptical trainer) at a moderate effort for 45 minutes. You should also do 15-20 minutes of strength-training, either using machines or body weight exercises, focusing on your lower body and core. Tempo Run: Tempo runs help you develop your anaerobic threshold, which is critical for fast 10K racing. Start your run with 5 to 10 minutes of easy running, then continue with 15 to 20 minutes of running near your 10K pace (but not at race pace), and finish with 5 to 10 minutes of cooling down. If you're not sure what your 10K pace is, run at a pace that feels "comfortably hard". Interval workouts (IW): After a warm-up, run 400 meters (one lap around most tracks) at your 5K race pace, and then recover by jogging or walking 400 meters. So when the schedule says, 4 x 400, that would be four hard 400s, with a 400 m recovery in between. Rest: Rest is critical to your recovery and injury prevention efforts, so don't ignore rest days. Your muscles build and repair themselves during your rest days. So if you run every day, you won't see much improvement. Fridays are a good day for rest because you'll have just done your speed workout on Thursday and the next day is your longest run of the week. Saturday long runs: After you warm up, run at a comfortable pace for the designated mileage. If most of your runs are on the road and you're not sure how far you run, you can determine the mileage by using sites such as MapMyRun.com. Or, drive your route in your car beforehand and use your car odometer to measure the mileage. Sundays: This is an active recovery day. Your run should be at an easy (EZ), comfortable pace, which helps loosen up your muscles. Note: You can switch days to accommodate your schedule. Just make sure you don't do two-speed workouts in a row. 8 CT or Rest 3 m run easy 40 min tempo run 3 m run easy Rest Rest 10K Race! 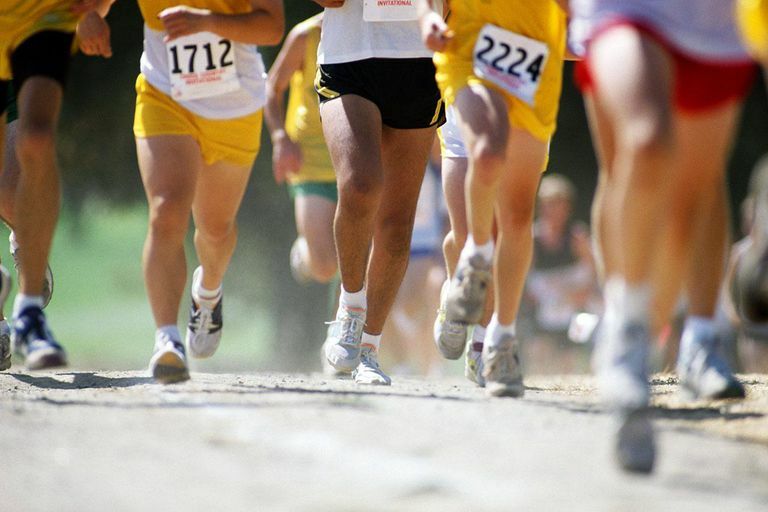 If you're planning to run a 5K, you'll need to get in shape. Our free training guide will get you ready to run. Sign up and get it free!